CH/ GR CH. TAPSCOTT'S THE X-FACTOR SIMON - "SIMON"
Simon finished his Championship in VERY limited showing, at barely 8 months of age, entirely Breeder/Owner/Handled from the Bred by Exhibitor class. He finished with four majors, one five pointer, two four pointers and one three point major. 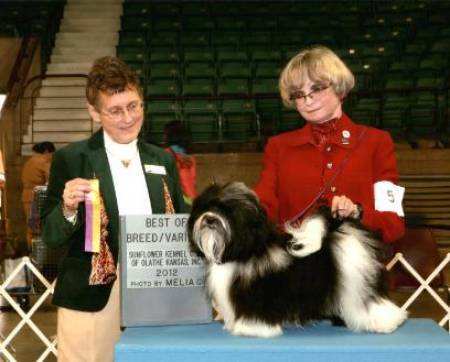 Simon was specialed twice, first time out, Best Of Breed over a highly campaigned Multiple Best In Show dog and second time a select. Simon is just 1 year old and has already been ofa certified for patellas, cardiac and eyes, he is also chocolate factored. Simon's owners grew him back out and finished his Grand Championship this week-end. We are so proud of them and Simon!